In this post I will cover the 80/20 of working out – the 20 % of the things that will give you 80% of the total results (known as the Pareto Effect). I want to shed some light on what I think is the most important things to focus on in general, and especially if you are a beginner in regards to working out in the gym, eating correctly and the mental aspects of the game. It’s all about the compound exercises. Always begin your gym routines with a compound exercise that matches whatever part of the body you’re training that day. You should place the largest chunk of your focus on these essential exercises. Compound exercises give you the highest yield measured by the time you spend in the gym. It’s a simple matter of being effective as time is our most important resource as humans. Compound exercises work large muscle groups and use most of your body meaning that you burn more calories and gain more muscle by doing them as opposed to doing cardio or isolation exercises. When I began working out two years ago I was relatively well informed about this, but I was still doing too many isolation-exercises, which took a lot of time and gave little output for the time I spent on it. Here’s a list of what I’d consider to be the most important exercises in no specific order. If you don’t know an exercise you should look it up on Youtube! So, for example; if you’re going to do your back routine today, start out by doing deadlifts and preferably spend roughly 50% of the time you work out on that exercise (this is just my own rule, but I find it’s true for a lot of other successful people in the gym). Be sure to warm up properly on very low weights as the compound exercises are more demanding than usual exercises, especially squats and deadlifts. Cardio should be avoided from an effectiveness-standpoint. If it is your objective to get big and gain the maximum amount of muscles or if you want to get ripped and have a low body fat percentage – avoid cardio. Your time is better spent in other ways. The reason for this is because cardio is a very slow way of dropping calories. A crossfit routine or just lifting a lot of sets of compound exercises will burn way more calories than running on a treadmill would. So unless you have a preference for cardio and genuinely enjoy it, or if you’re a marathon runner, don’t waste your precious time on cardio! The first principle when it comes to eating properly in accordance to bodybuilding is to eat at least 2g of protein per kilo, or to put it in another way, at least 1g of protein per pound of your body weight. 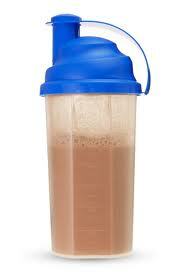 Drinking a protein shake may help if you have issues coming up to 2 gram of protein per kilo. By the way, please note that this is a general principle, there are some people who are capable of assimilating more than 2 grams of protein per kilo but also people who aren’t capable of doing so. A sign that you’re not capable of assimilating all the protein is that you get gassy, bloated, have stomach issues. It may also be that your protein powder is low quality. I know people who have been taking care of every other aspect except this one for years and they wonder why their results are worse than meatheads with no “know-how”. If they could only stick to this little rule they’d gain so much more muscle and get more return on their invested time. It’s simple; just eat enough protein every day and you can’t fail. So if you weigh 70kg/154 pounds, get at least 140-154g of protein and you are set! If you can maintain this habit every day you’ll see massive gains in muscle. I’ve found it to be both tasty and very healthy to mix cacao, (eggs sometimes), shredded coconut and glutamine in my protein shakes (and gainer when I used to drink that). Eat a lot of different meats and eggs. Drink plenty of milk and dairy products if your stomach allows you to. Eat organically if possible. You need quick carbs immediately after you’ve worked out. There’s enough of that in most protein shakes, and definitely enough if you drink gainer. Otherwise you can add in some sugar/chocolate powder in your shake if you don’t feel like you get enough of it. Or you can just bring some quick carbs in the form of candy, sugar, fruits, snacks etc. The only time when it’s actually considered healthy to consume quick carbohydrates such as candy bars and the like, is immediately following a workout. Otherwise it’s a no-no in terms of being healthy. Generally for most people, carbs are the biggest cause of poor health and overweight. The average person tends to over-consume carbs a lot! Think about all the sweets, white bread, pasta and rice that people eat. It usually takes up the most space on their plates, you’ll start noticing this from now on if you hadn’t before. Groceries rich in carbohydrates are in general the cheapest to buy as well. There’s a large misconception in our society that carbs are supposed to be healthy. Just look at the nutrition circle that we were all taught about in school. Or maybe the food corporations are to blame for successfully marketing their unhealthy products. I don’t know for sure, but either way it’s completely wrong – and harmful to your goals if you want to be healthy and get into bodybuilding. Two years ago I ate a lot of carbs on a daily basis and had decided to eat everything that crossed my way as it was my goal to increase in weight because I’d never weighed over 67 kg. My goal was to weigh 75 kg by the end of the year; however I beat that goal quite easily and bulked myself up to 77kg in just 6 months! That probably wasn’t too healthy, but it was a cool reference point for me at that time anyway. Then eventually I incrementally reduced the consumption of carbs in my diet to the point where I only had a gainer or quick carbs directly after workout and some in the post-workout meal. Except for that I only ate food high in protein as well as vegetables. On the side I did a lot of cardio as well. I wanted to get ripped, and it worked to a certain extent, but rather slowly and it wasn’t that pleasant as I couldn’t eat much tasty food. The last three months I’ve been less careful about avoiding carbs. My diet for quite a while has been intermittent fasting which briefly means that I’m eating during an 8 hour gap and fasting for 16 hours. I eat more carbs on the days I work out and eat huge post-workout meals, while I consume more healthy fats on my resting days. Here’s the link for more information about intermittent fasting, I definitely recommend trying it. You know the drill here! Avoid chips, fries, dressing, sauces, anything fried or things that come in wrappers in general. Avoid it to the point that you feel is in alignment with your motivational level. Eating these things aren’t good for you, unfortunately most tasty things contain unhealthy trans-fats. It’s up to you to make a conscious decision whether this is what you should do or not, and take full responsibility for that choice. Be careful with fats. They contain a lot more calories than other sorts of foods so even if you’re eating healthy fats, it’s still a matter of calories in VS calories out. This is a picture of a usual breakfast/afternoon meal for me, rich in essential fats and some carbs. It’s milk with almonds, pumpkin seeds, hemp seeds, flax seeds, sunflower seeds, different nuts, shredded coconut and oats. I spoke earlier about the misconception of the nutrition circle. Optimally, around one third to half of your plate should be covered by vegetables and greens. The first 6 months you should focus on implanting the habit of always showing up and never skipping a single workout-session. During the workouts you will focus on the precise execution of different exercises and spend most of the time on the compound exercises. As a guideline, do not start lifting heavier if you can’t activate/feel the muscles that the exercise in question is supposed to work – meaning; don’t do heavy deadlifts, squats or dips improperly. These things are the 80/20 of my mental game and will drastically improve your results if you can implement it effectively. All of these things overlap with each other to a certain extent but I want to keep them separate in order to make it easier to explain them as concepts. Visualization. All professional athletes are masters of visualization. Not because it’s trendy, but because it improves the results. See yourself clearly doing your sets with perfection in your mind’s eye. Imagine how it will feel, how much it’ll burn your muscles when you do it, feel the pump you get as you do the movements with precision in your head before actually doing the set. After you’ve visualized this clearly, do each exercise a few times by yourself at home, to mentally and physically prepare yourself and make sure you perform each exercise with picture perfect posture, it shouldn’t take more than 1-2 minutes at most. Desire and positive emotions. I am a huge believer in the mind-body connection. There have been plenty of studies proving that both strength and muscle growth increases simply by imagining the process of lifting weights. Like everything else in life – you have to know what you want in order to get it. Know what you want to look like, and soon your body will begin shaping itself after your mental blueprint to the extent that it’s possible. I’m not saying that some lame affirmation of saying to yourself “I want more muscles” is going to work, but if you can pump yourself up and feel genuine desire and fully know what you want to look like with complete certainty, you will get increased effects. Do some research and you’ll find that every single really buff/ripped guy has this desire, no exceptions. If you don’t believe you can grow large muscles, you won’t. The more we learn about quantum physics, the more we learn about the extent to which our thoughts influence other things. There are plenty of books on this; probably the most renowned author on this subject is Deepak Chopra. If you’re interested in this I suggest reading some of his books. Here’s an old, but noteworthy quote about how emotions are able to affect the body. This should clarify why you want to associate positive feelings and having fun with going to the gym! produced never allow its repetition. Getting in the zone. Getting into a flow-state while working out. I’ll soon have a much more detailed post on this subject. Make sure you have your own inspiring and powerful music to draw emotions from that you can transmute into energy. Focus on yourself fully and completely disregard your surroundings and how other people perceive you. This is a skill to be learned just like everything else and it needs practice to be perfected. 90% of the people in the gym don’t have this skill; they’re giving away a lot of mental energy (that they could use on themselves instead) by focusing on things that doesn’t matter in the context of growing your muscles, getting in touch with your body and being able to listen to it. They never develop this sort of intuition and thus they never get above a certain plateau because of it. When you’re consistently able to get into your own world, you’ll find you have MUCH more energy at your disposal, energy that you previously unconsciously focused on other things. When first learning this skill you probably won’t be able to stop moving because you’re not used to having so much energy – making it look like you have ADD, haha. Breathing correctly and relaxing. To have an effective workout you want to recover properly in between sets. I used to have some trouble with this as I had breathing problems growing up, similar to asthma. The best way I know of doing this is first to calmly take deep controlled breaths from the stomach. Most people are breathing shallowly through their chests, not from their stomachs. Probably because they think it makes them look less fat, but disregard that. Second is to make a clear distinction in your head/mind that as soon as you aren’t lifting, you’re 100% focused on recovering your muscles. I like to visualize energy moving in my body as I breathe; this energy heals the pain I’m feeling in my muscles as I relax in between the sets. If you become good at this it becomes a euphoric feeling, but it requires a lot of mental focus and practice, at least it did for me. Certainty & focus. The end goal is to be able to focus 100% of your attention on your muscles without thinking. Pure intuitive feeling, being able to push it to the utter limit of physical exhaustion without it feeling like a hassle. When you get this down you’ll be surprised at how many more sets you’re capable of doing now that executing the sets, to the point of pain, has become a source of enjoyment for you. Chances are you’ll become bored and restless in between sets as you forget how important it is to recover properly, because you just want to keep going! Make it your goal to become better at these things for every gym-session you have. Every time you go to the gym and do your sets – do NOT fall into unconsciousness and just go through the movements mindlessly. Put forth as much effort and consciousness as possible into every repetition, be innovative and find new ways of pushing through the pain. Commit to making every workout your best, most fun and challenging workout so far. Do not escape from the pain – face it, embrace it and let it take you over. The only way to be a champion is by going through these forced reps and the torture and pain. That’s why I call it the torture routine. Because it’s like forced torture. Torturing my body. What helps me is to think of this pain as pleasure. Pain makes me grow. Growing is what I want. Therefore, for me pain is pleasure. And so when I am experiencing pain I’m in heaven. It’s great. People suggest this is masochistic. But they’re wrong. I like pain for a particular reason. I don’t like needle’s stuck in my arm. But I do like the pain that is necessary to be a champion. If you are the sort of person who has a hard time motivating yourself, it can do the trick quite well. But don’t fall into the trap of becoming “addicted” of having to use PWO every single time you work out and not working out when you run out or become to resistant to its effects. Find out how to structure your workouts optimally in accordance to your own body. I for one really like doing pyramid sets and forced reps. Especially on the compound exercises that take up the most energy and time of most of my workout. Put the most effort and focus into the compound exercises when working out in the gym. Eat at least 1g of protein per pound of body weight. Or similarly 2g of protein per kilo. Eat a lot of vegetables, especially broccoli and spinach. Get quick carbs immediately after workout. Improve your mental game. Start visualizing, start desiring your ideal body and see your body grow into it with anticipation. Find your own ways of getting into the zone in the gym and disregard other people, they are not your competition. Get the habit in of going to the gym and never skip a workout. Go there no matter the weather conditions. Just get going and don’t sit at home being indecisive. In order to get the best results you need to be on top of your gym routine, diet & sleep as well as your mental game. They are all intertwined. Ds: I feel the moral obligation to include a picture of how I currently look, to assure you that the things I speak about in the post are working for me. How many carbs do you can get with has a lot to do with your individual body chemestry and nervous system dominance. – Ectomorphs like you Ludvig can eat tons of carbs, and if they want to gains muscle they indeed must to. – Mesomorphs have mid tolerance for them, and can gain and loose both muscle and fat easily. – Endomorphs have a low carb tolerance, they can gain muscle but also fat, and have a hard time losing that fat, it’s far easier for them to get overweight. Each person fall something in between these archetypes. In my case I’m about 80% mesomorph 20% edomorph, a have mid-mid-low tolerance for carbs. If I eat a ton of them and also exercise, specialy now that I’m past 30 years old, I get strong and huge, but also fat and sluggish, I’ve been there once and it doesn’t feel good. Now I’m back at 15% fat, weaker but a lot fitter, trying to break my current fatloss plateu. I’ve already done my first 2 day fast Ludvig, a very interesting experience. The main benefit I felt was clarity of thought in a very calm way. Yeah I might be an ectomorph. Cool to hear about the 2-day fast. I also did it (broke it today). Felt good. In terms of eating, what would you say about Victor’s “Steak and Eggs” Diet? Just took a look at his article. It’s very consistent with my diet philosophy. I really enjoyed reading it, you could be a great writer. Keep up with the great writing, have a nice afternoon. Hahahaha i doubt you had that sixpack when you weighed 77kg, right? How long did it take to get ripped? What do you do for stomach? Hehe, no I did not. Probably around 1.5 years, in the end it was the IF that did it for me, as I always had a problem with excess body fat before that diet. I weighed around 68 kg when that picture was taken I believe. It’s going to be interesting to see whether I can remain ripped now that I stopped doing IF for 3 weeks (doing ultramind challenge for 6 weeks). I already gained 2 kgs, but still low BF. Probably around 7-10 %. 1. Diet so as to not eat crap (fried foods, cookies, empty calories etc) and have low body fat! 2. By doing compound exercises such as deadlift, squat, lunges etc. you will use stomach as well. 3. At the end of my leg or back workout I do some stomach & oblique exercises if I have time to spare or if i really feel like it. These include situps (slow controlled), leg raises, oblique “situps” with hand clasping the head – exercised slowly and controlled – these are very hard but awesome. Finally I do either leg raises with a dumbell 6-12 reps, or if i can grab ahold of something with my hands I place a large weight plate on my shins and move it up & down 6-12 times – then superset with situps while i hold the plate with extended arms upward. I will do a post on IF relatively soon (it’s half-way done), I’ve got a lot to do at the moment. In the meantime, check out leangains or similar sites for info about IF. That`s what Martin Berkhan on Leangain says as well. That simplyshredded website is awesome, thanks for recommending it. Really interesting outlook on cardio btw, I used to think differently myself, but after reading a bunch of paleo etc I have come to the same conclucsion now. Yeah I got some nice inspiration from simplyshredded a year or two ago as well. Generally the advice is good, but don’t accept anything they say blindly, some guys there are pushing their own agendas (sponsoring products etc). Yeah I’d agree with that, if I could go back to my first year of training I would’ve done a lot less isolation exercises and just put the bulk of my time on doing more sets of compound exercises, which is what I’m currently doing. About the mindsets, if you’re using all of your excess willpower on just showing up to the gym no matter what, I’d suggest you keep doing that until you REALLY implement that habit without having to think about it. Then you’ll have more willpower and focus to spare – that you can use to explore and learn about these mindsets. This is pretty good. I`ve been working out for roughly 6 months and from what I`ve read and heard, the most important thing in the beginning is to focus on the compound exercises and become good at them. I haven`t really though about these different mindsets, because Ive had to focus all of my energy on just going there a lot and not skipping sessions. So yeah, that`s also a good point i guess!